Dr Edward Kusek is one of the earliest adapters and most experienced of dental laser technology in the Midwest. The early training, education and investment has paid large dividends to our patients who experience much faster healing, decreased amount of sensitivity, less of a need for anesthesia, and quicker procedures. Listed below are the lasers we have incorporated into our practice. Solea is the most advanced dental laser available to date. It not only removes gum, tooth, and bone tissue but can actually numb the tooth with laser energy while performing dental fillings. No needles! Here at Kusek Family & Implant Dentistry, we were the first office to receive Solea in the Sioux Falls area and also the only dental office in the nation that has conducted clinical studies with the laser on real teeth to establish protocols for performing dental fillings with this new technology. Our erbium laser is one of our most versatile lasers. It offers the ability to contour both soft tissue (gums) and hard tissue (bone and tooth) with little to no discomfort. We also use to disinfect areas where there may have been infection, such as root canals or extractions, leading to better results and faster healing. 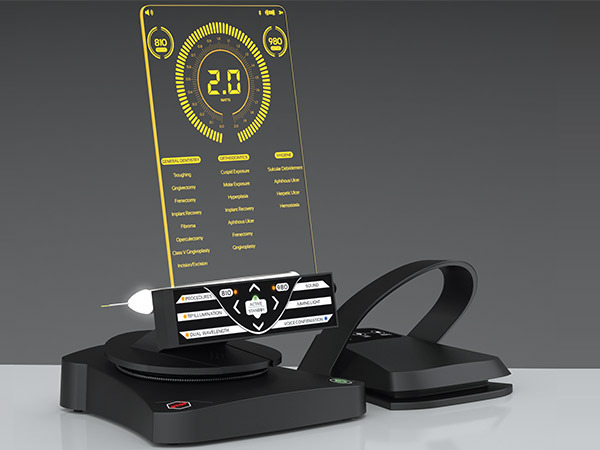 The newest and most advanced exclusively soft tissue diode laser on the dental market. The Gemini is used daily in our office to ensure crowns and fillings intimately meet the tooth. It also is used for Periodontal Therapy to kill bacteria, disinfect gum tissue, and stimulate healing.